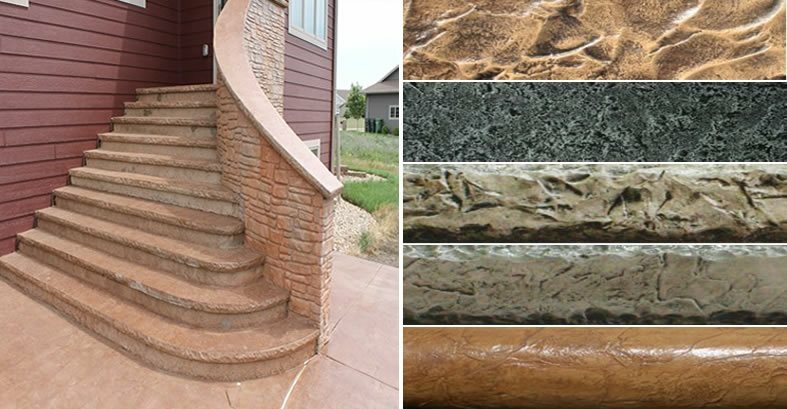 Step Form Patterns & Profiles: See a chart of the common textures and profiles used to make concrete steps. 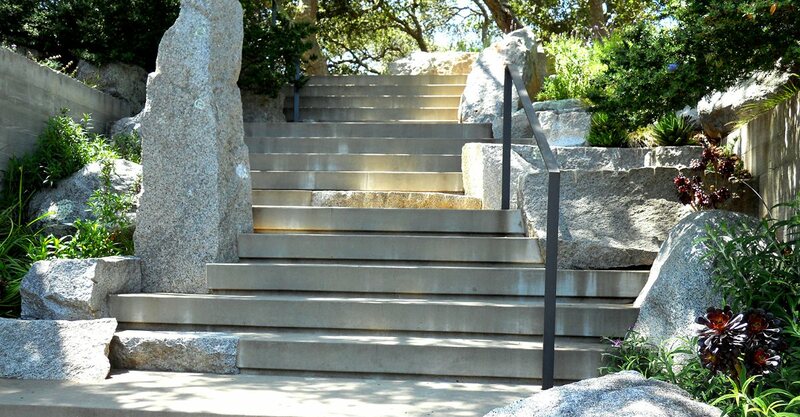 Types of Step Forms: Learn about all the ways to form concrete steps to get the look you want. 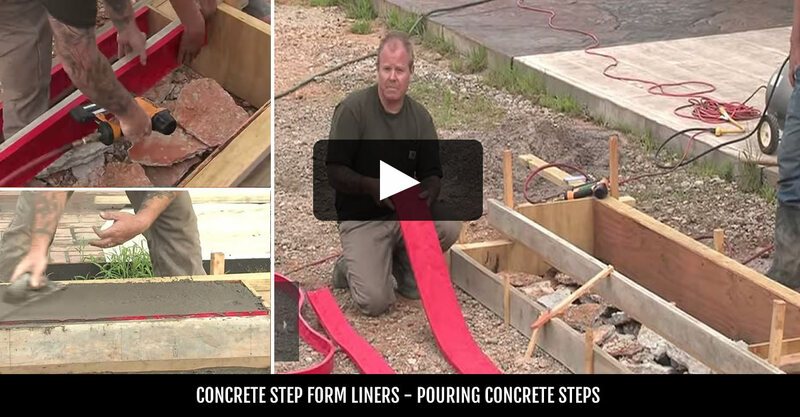 Stepping It Up with Concrete Form Liners: Learn how to take the look of your stairways to a new level using textured step liners. Concrete Step Design Basics: Find out more about standard riser heights, depth, and dimensions to keep your steps safe. Many stamped concrete sidewalk, patio, and entryway projects also call for pouring concrete steps. But in the past, achieving decorative patterns on step faces often required using texturing skins and hand chiseling the joints. 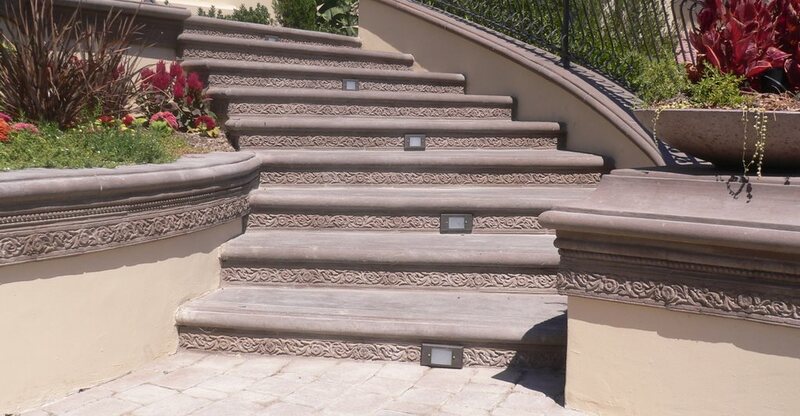 Thanks to the introduction of premanufactured step forms and form liners, it’s now easier than ever for contractors to give the vertical faces and edges of their concrete steps a wide array of textures, patterns and profiles. These reusable molds offer pattern options virtually unachievable using any other forming method, and they save time and labor by eliminating the need for hand tooling or embossing with texture skins to achieve decorative detail. You simply attach the liners to form lumber using nails or adhesive, with minimal cutting required. If you’ve never used step form liners before, you’ll be amazed at the decorative effects you can achieve. Cantilevered edge profile options include bullnose, round, and fancy edges. Step face patterns and textures include Roman slate, Yukon stone, cut stone and more. When you enhance your steps and step faces with integral color and color hardener, the decorative effects are unlimited. In terms of cost, step liners are a viable option on most jobs. They provide multiple reuses and have a life expectancy similar to that of high-quality polyurethane stamps and skins. What’s more, they produce a high-end look that many customers are willing to pay more for. The applications for step liners are not just limited to stair risers. You can also use them on the edges and faces of concrete wall caps, countertops, benches and seat walls. 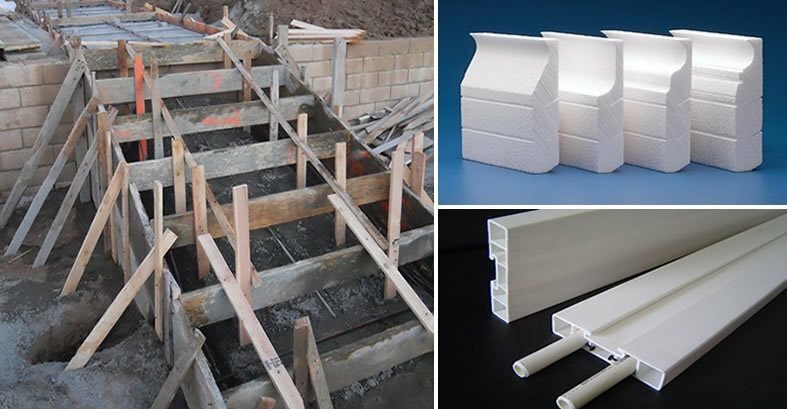 Here we give you an overview of the various types of step forms and form liners available, buying tips, and advice on getting the best results when using step forms. Step it Up with Form Liners Learn how to take the look of your stairways to a new level using textured step liners. Concrete Steps Decorative concrete stairways offer endless design possibilities for creating a grand entrance. Edge Liners Liners for limestone, Bullnose,and flat patterns.